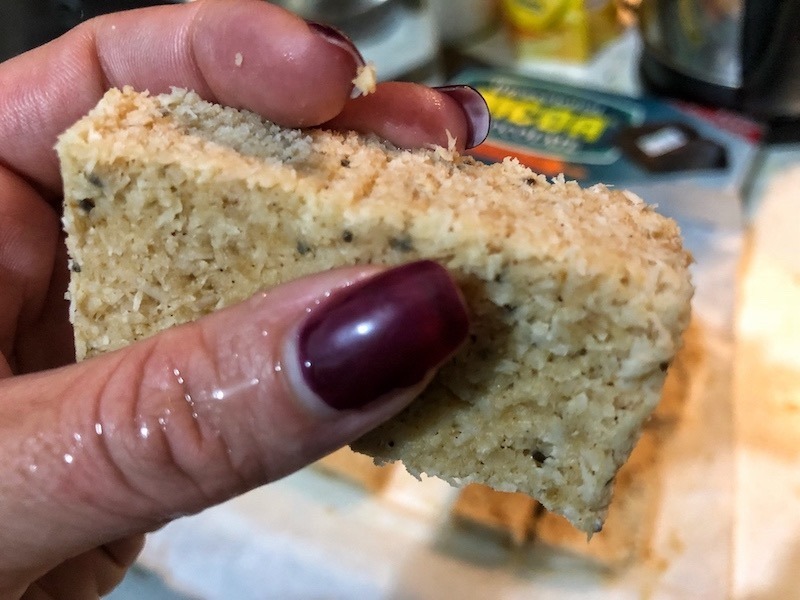 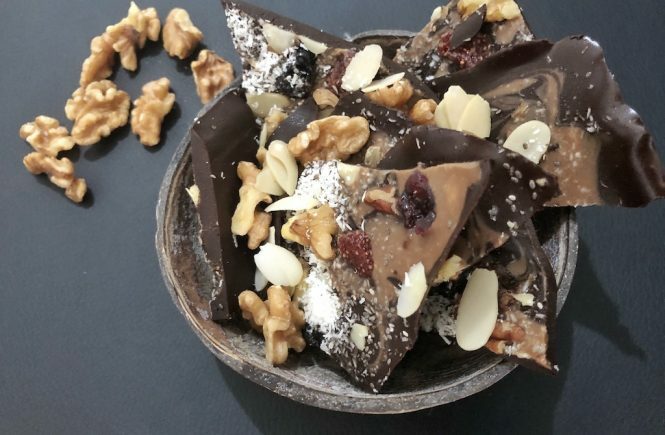 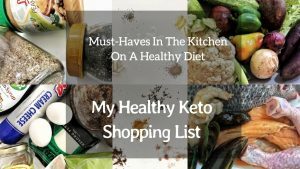 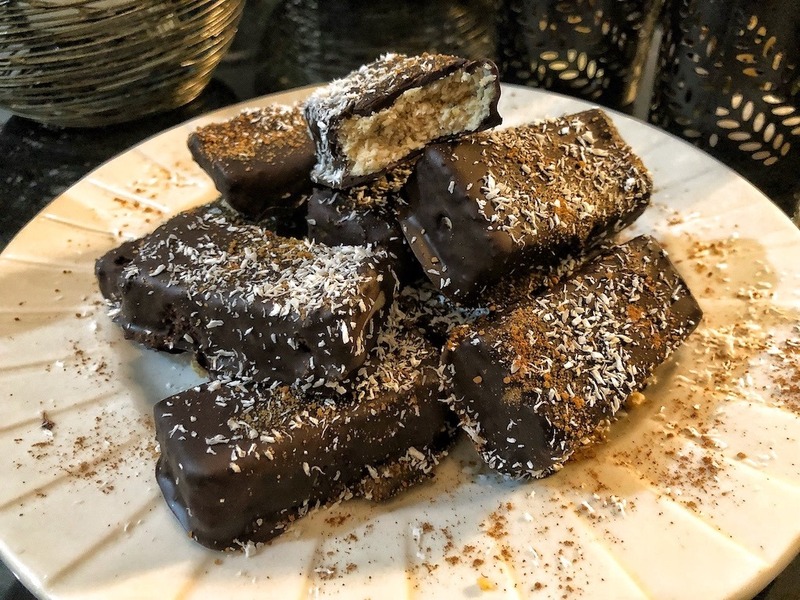 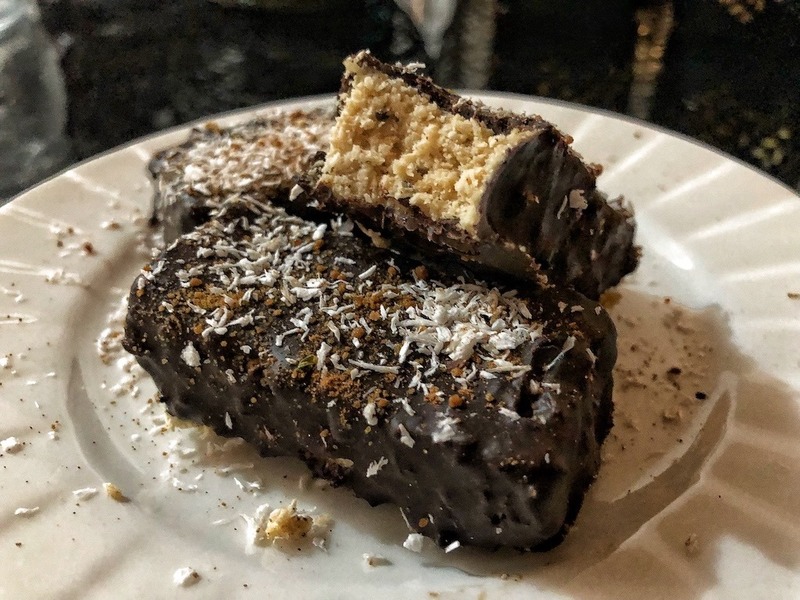 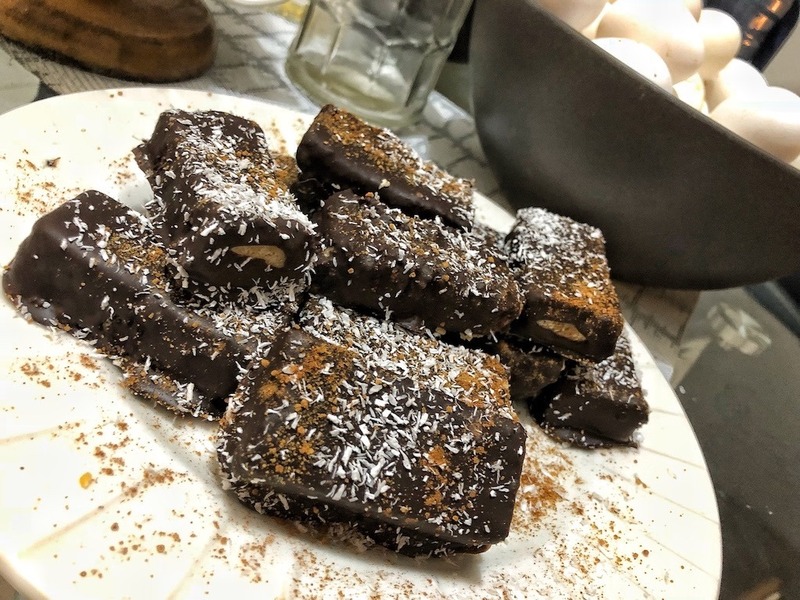 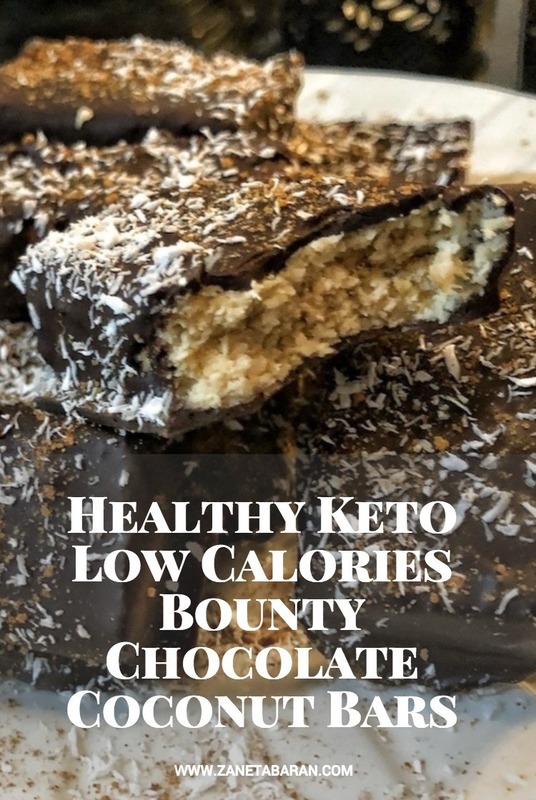 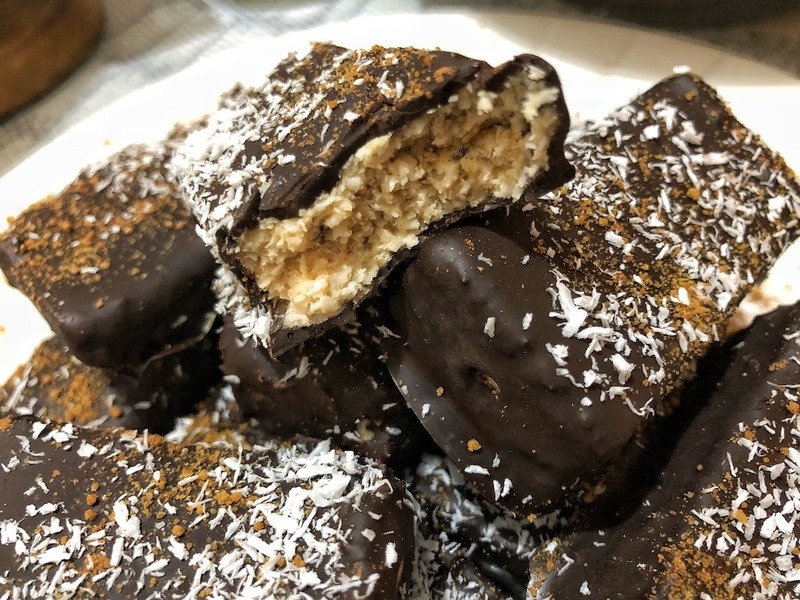 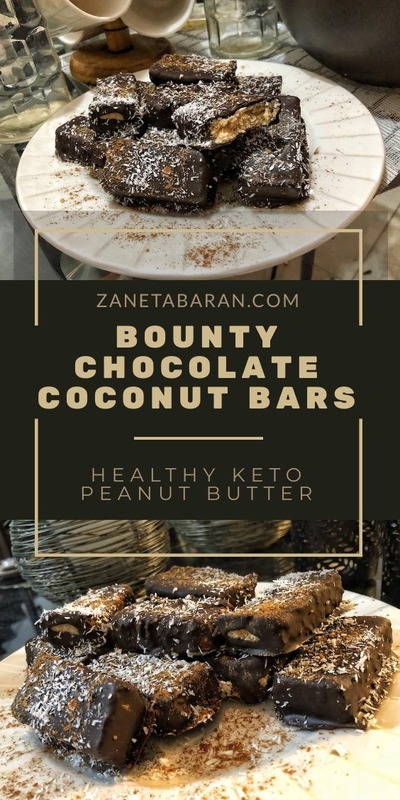 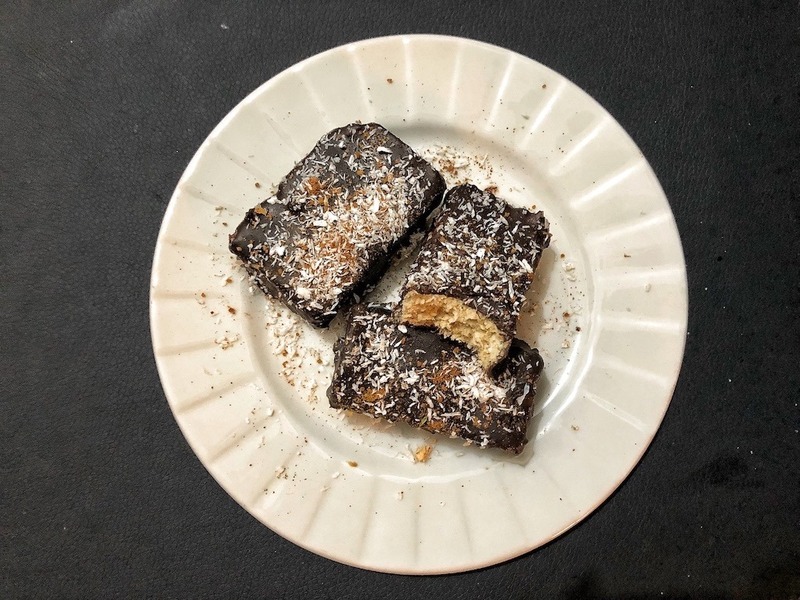 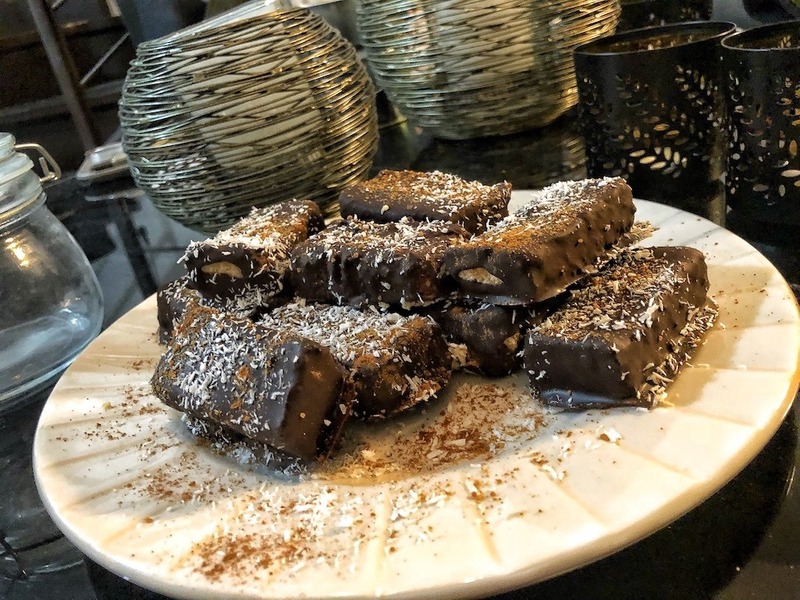 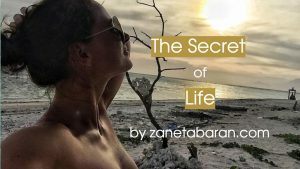 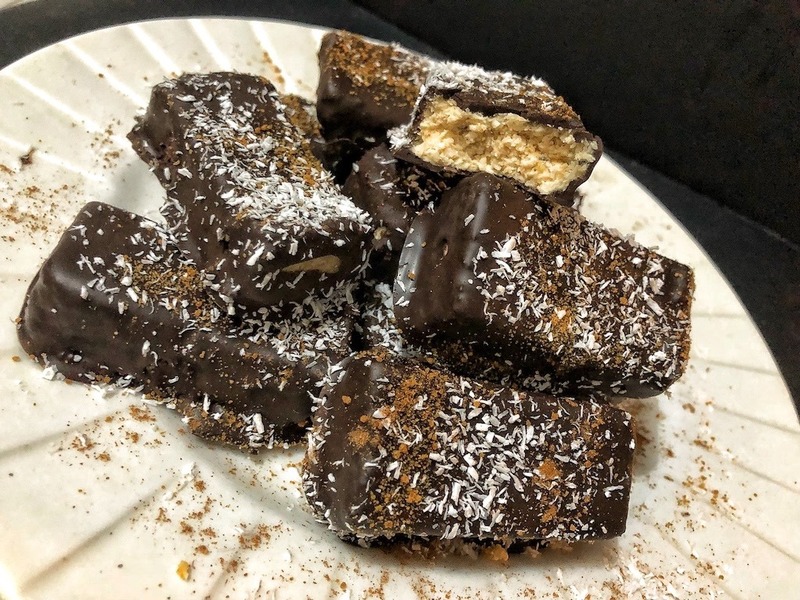 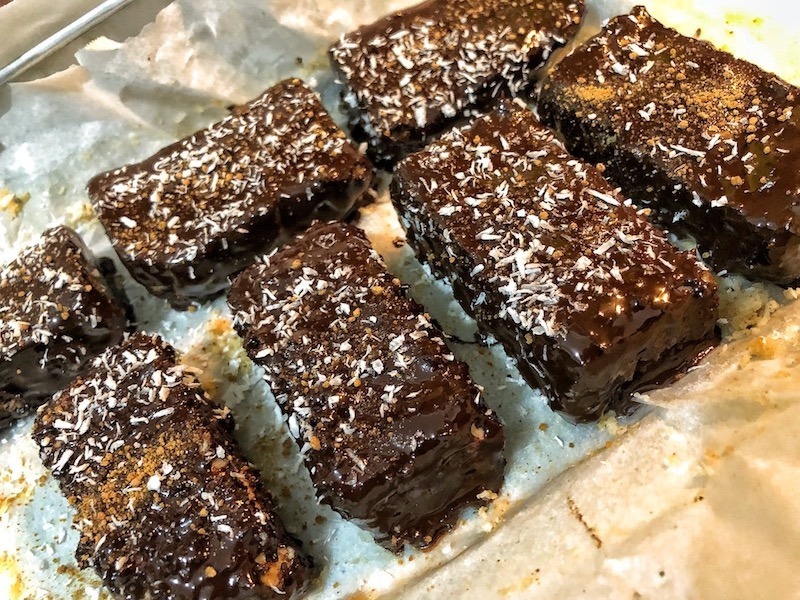 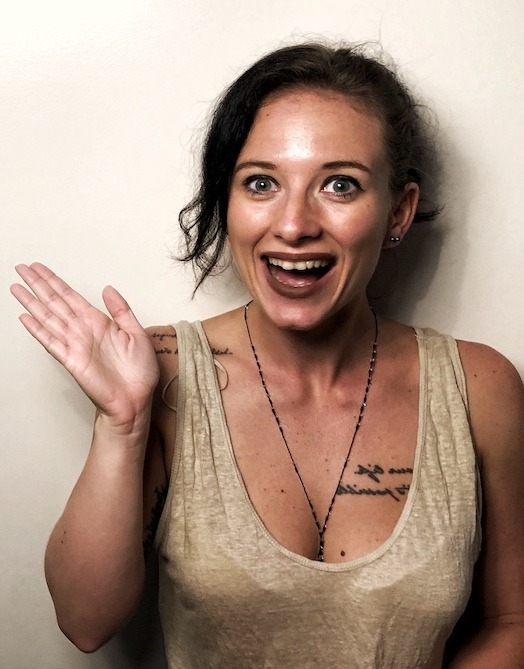 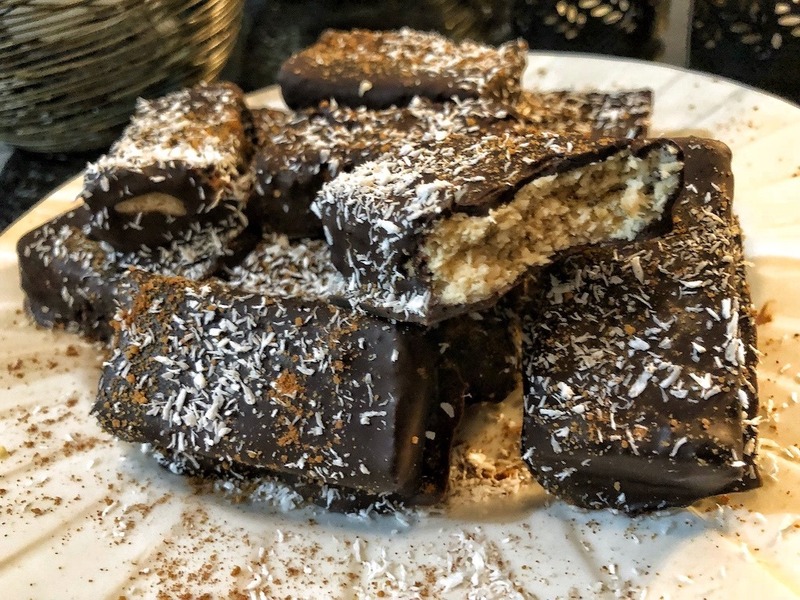 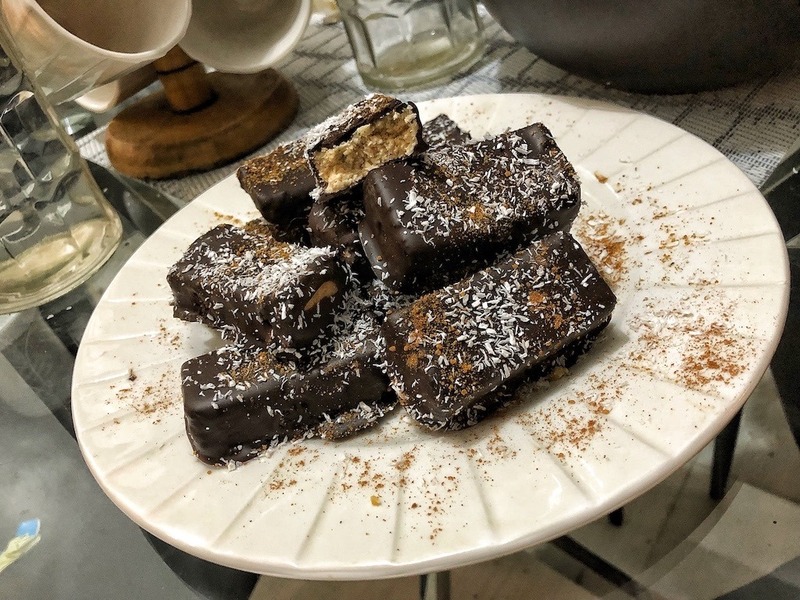 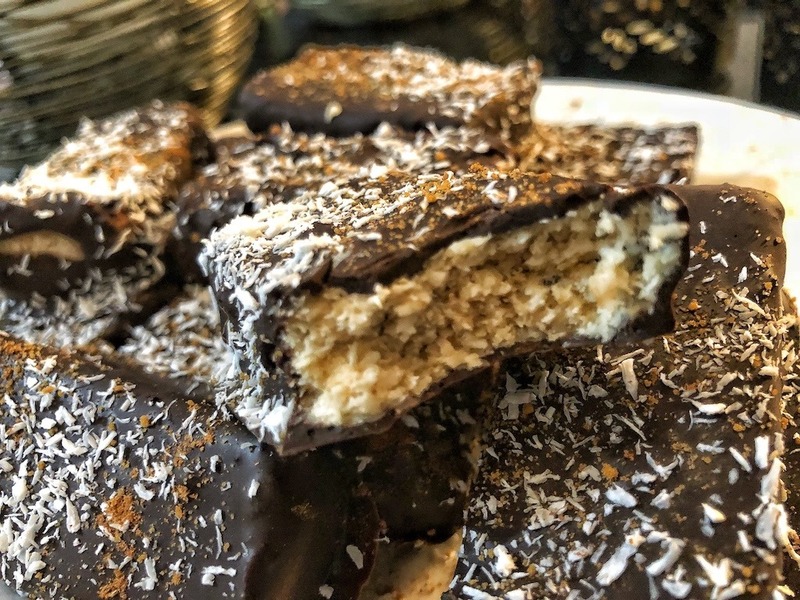 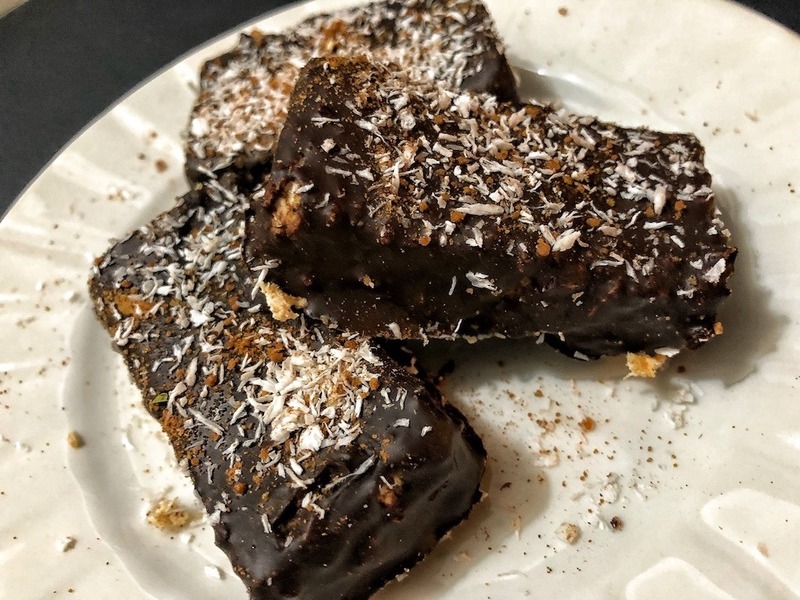 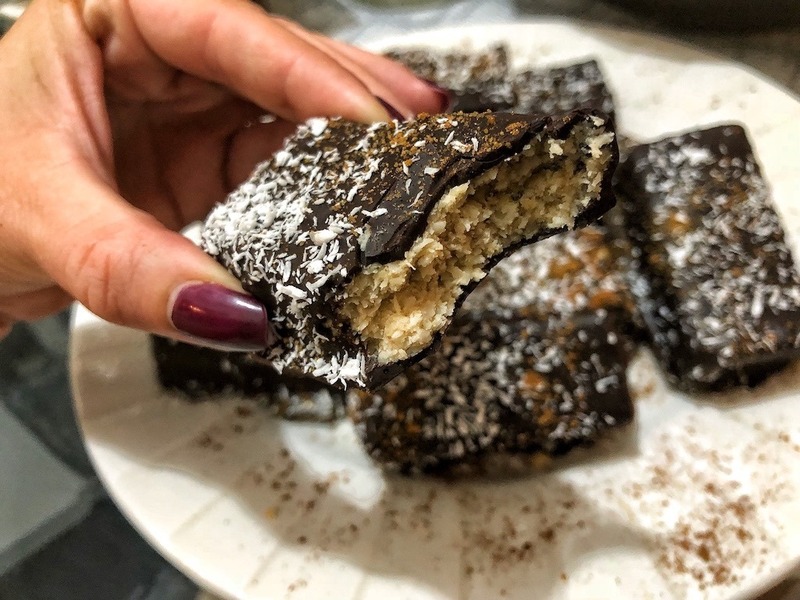 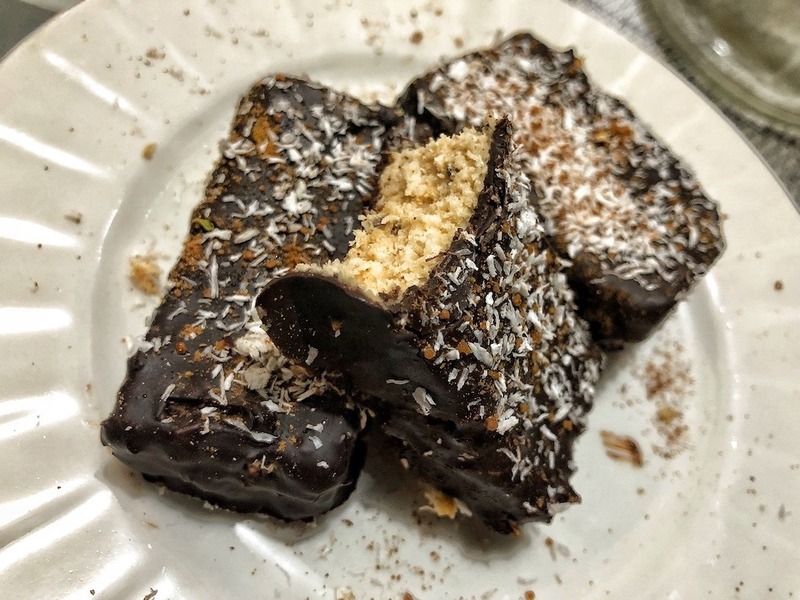 How to make healthy keto homemade bounty chocolate coconut bars? 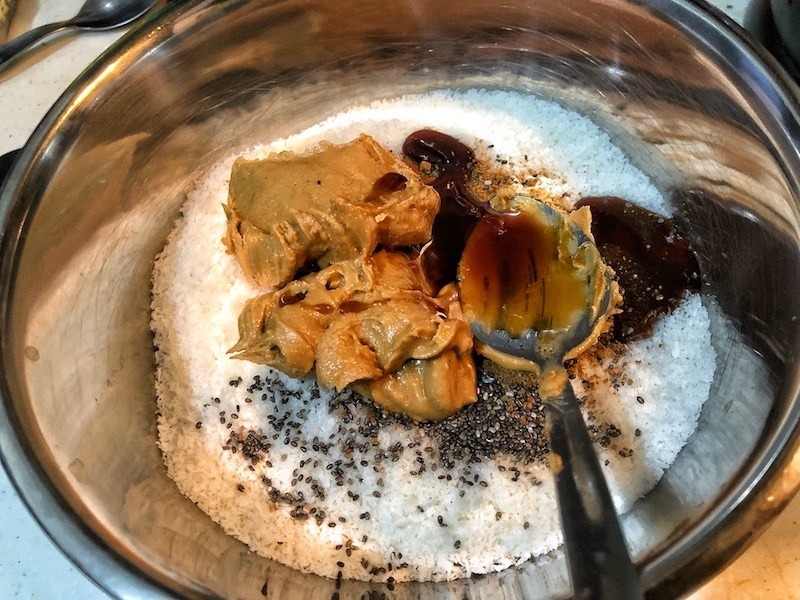 Mix the coconut flakes, chia seeds, coconut sugar (or sweetener), coco syrup, peanut butter, coconut milk and cinnamon in a bowl. 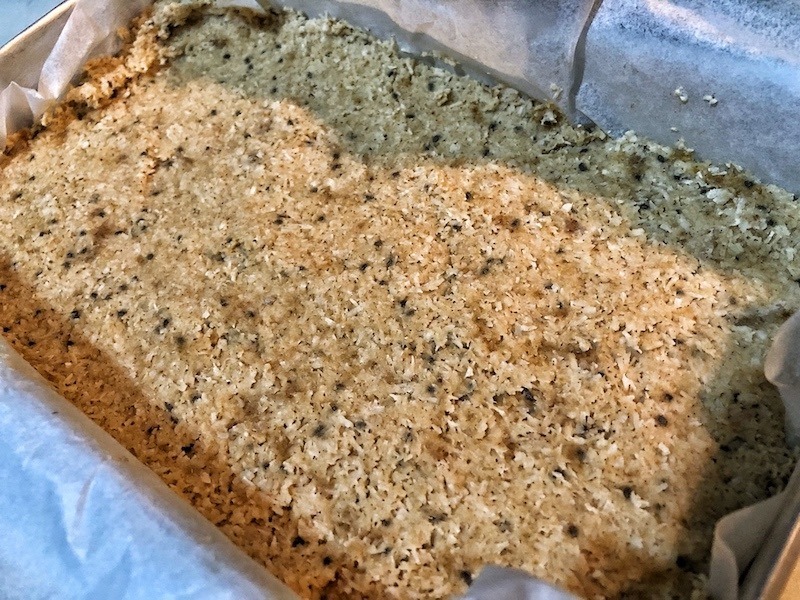 Transfer and spread the mixture to a baking tray lined with baking paper earlier. 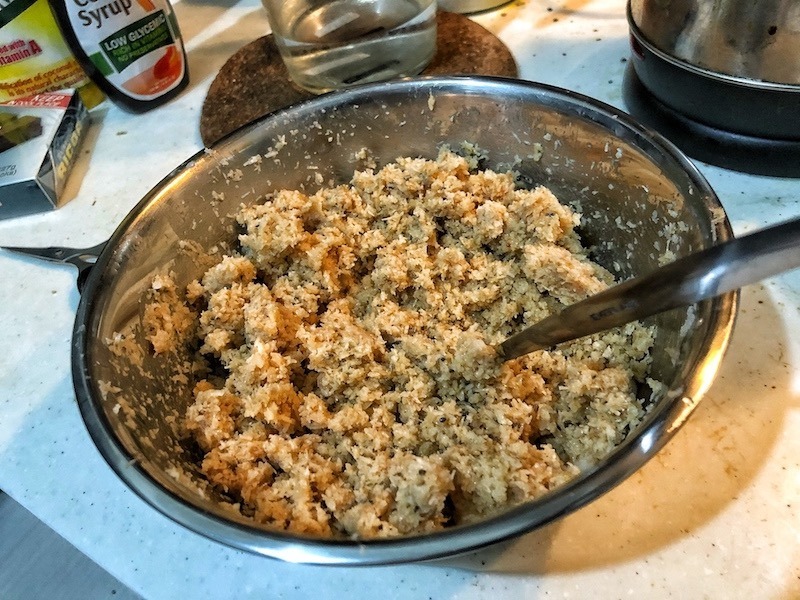 After 1 hour, cut the mixture into bars (width of two fingers). 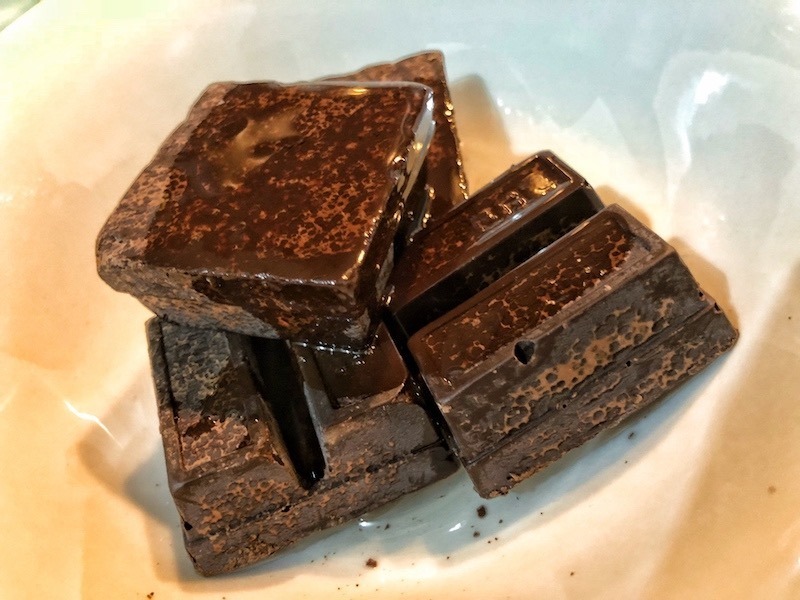 Melt the chocolate and coconut oil (around 30 secs in the microwave). 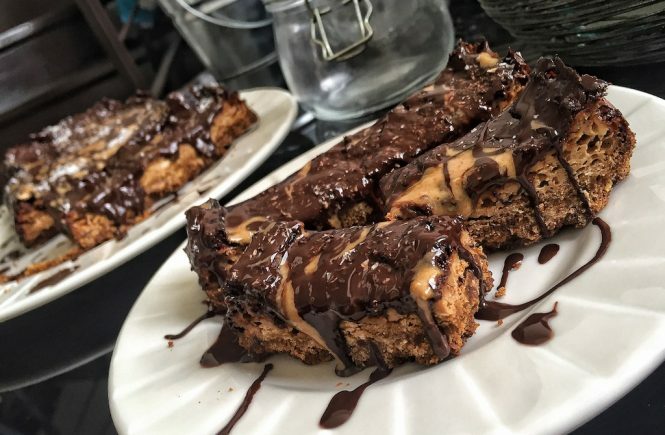 Dip bars into melted chocolate until covered. 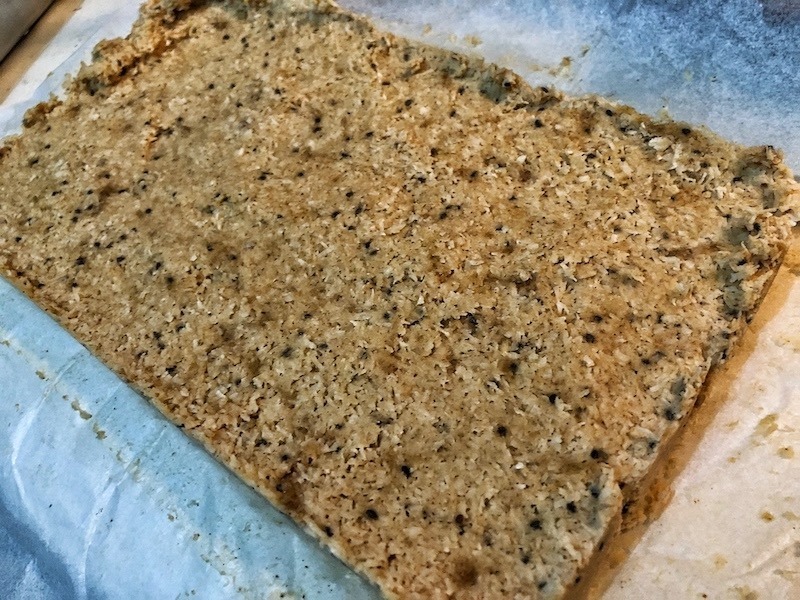 Transfer to baking tray lined with baking paper from earlier. 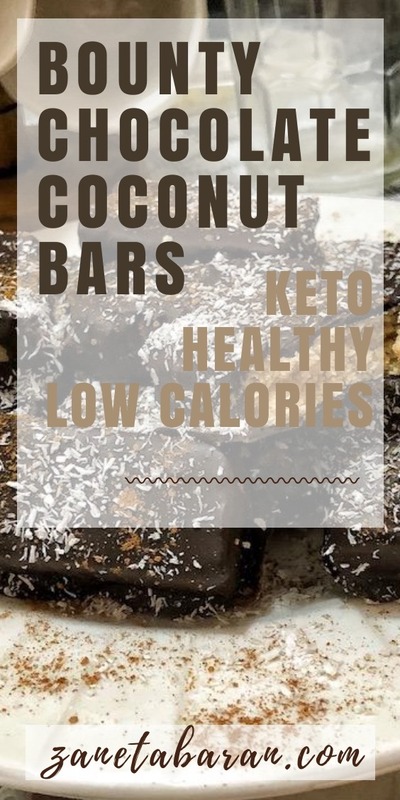 Spread some coconut flakes and cinnamon on the top of the bars. 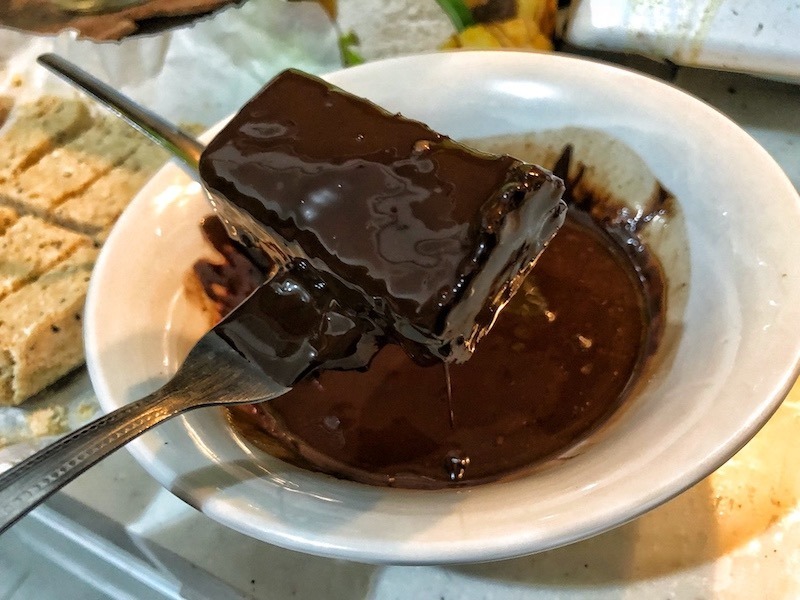 After 1 hour, transfer onto the plate and enjoy! 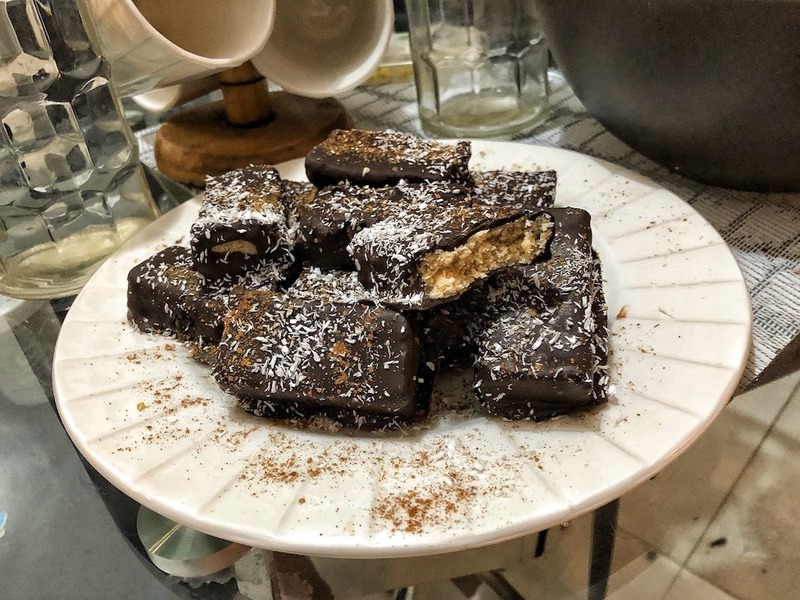 I think this is one of my best recipes. 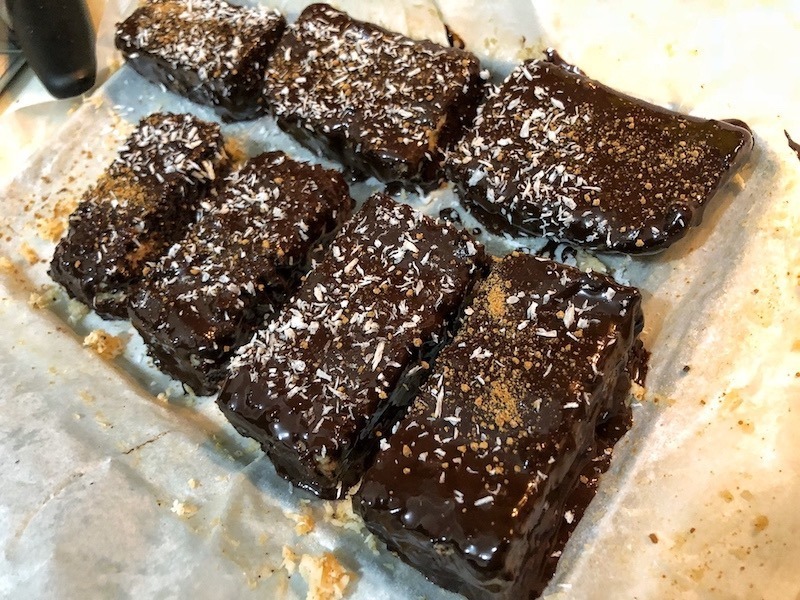 This sweet treat tastes extremely good. 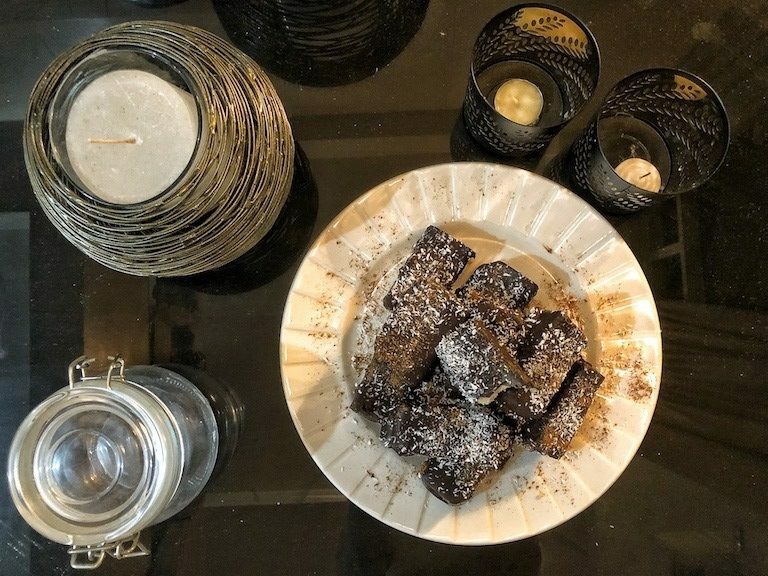 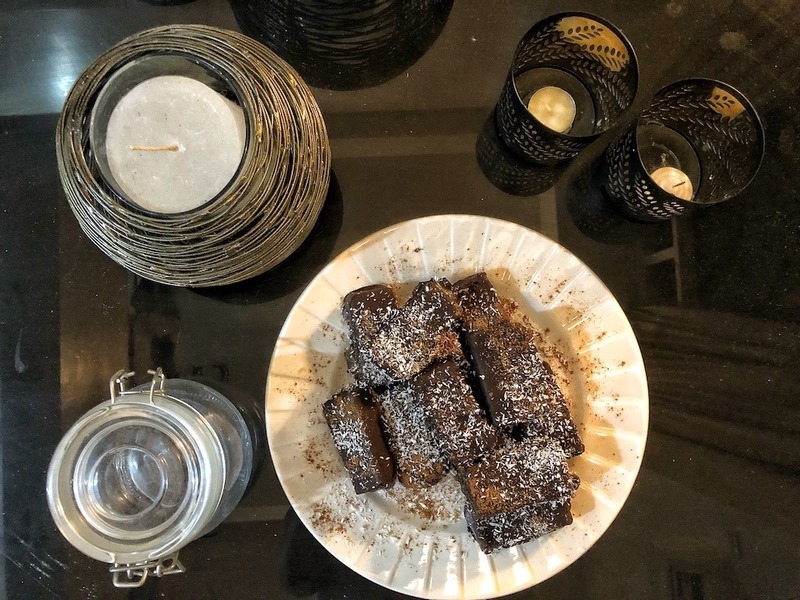 Moreover it is really easy to prepare and perfect for family events or lazy evenings with your partner or friends. 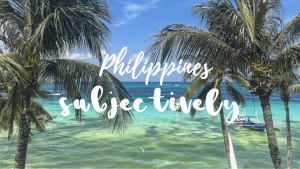 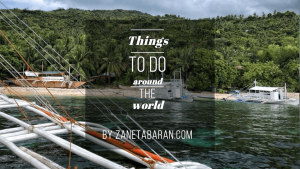 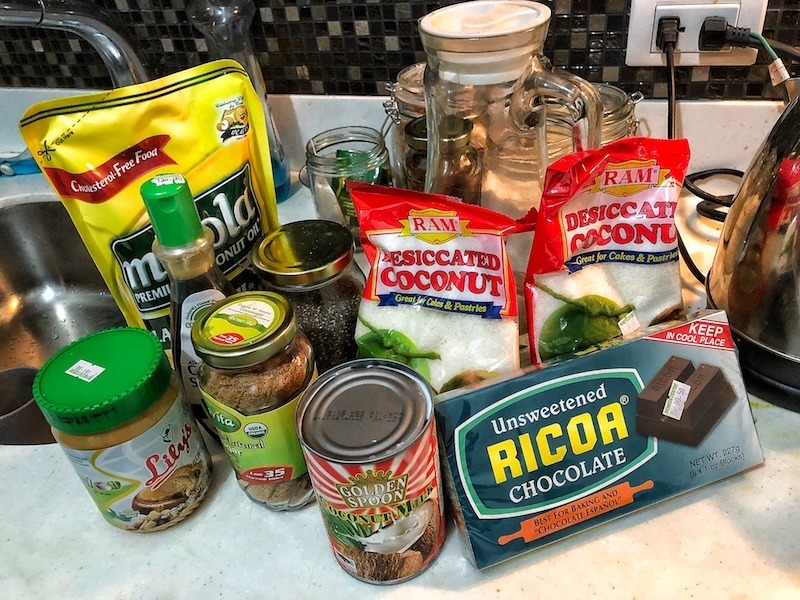 I love all coconut products and living in the Philippines gives me so many opportunities for cheap coconut items. 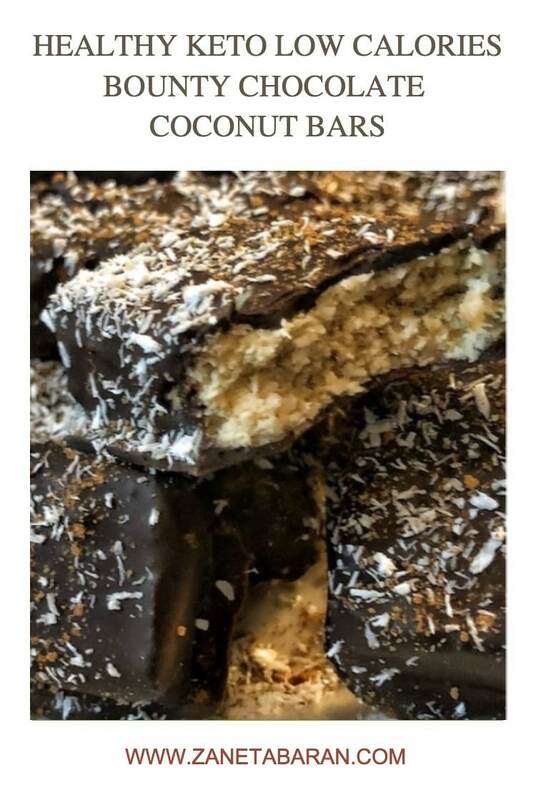 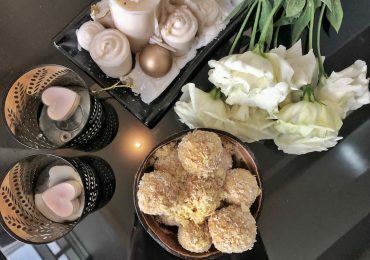 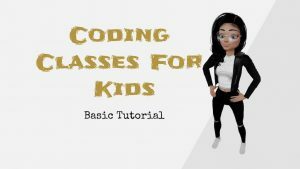 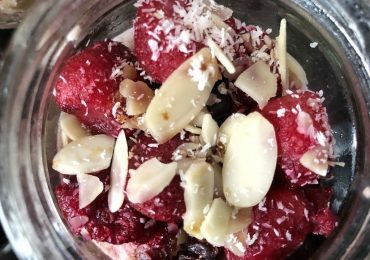 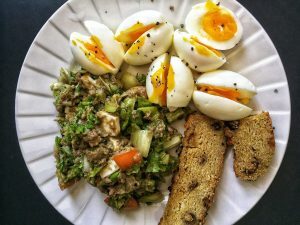 In this recipe I used everything coconut related! 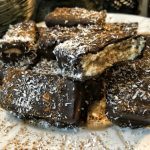 Bars can stay in the fridge for 3-4 days, but I don’t think they will last that long.